1. In a bowl, combine soy sauce, tomatoes, onions, ginger, salt and pepper. Mix well. 2. Stuff the mixture inside the fish then brush the skin with cooking oil. 3. 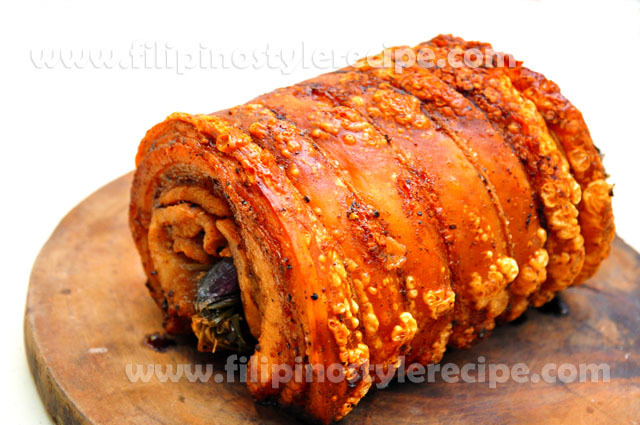 Wrap with aluminum foil then grill in a preheated oven over 200 degrees celsius for 30 minutes. 4. 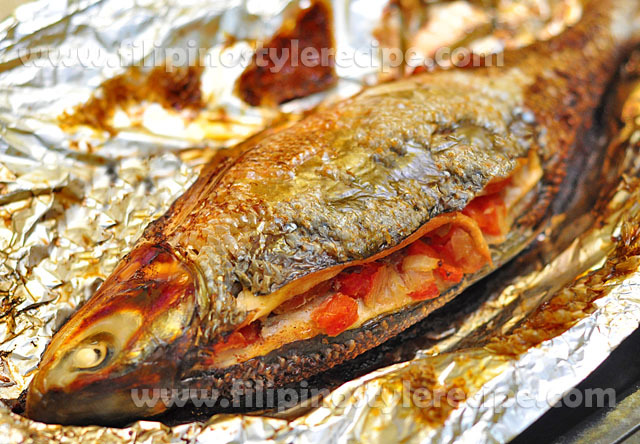 Remove from oven and open the aluminum foil. Drain the liquid. 5. Put back the fish then grill for another 10 minutes or until turned to brown. 6. 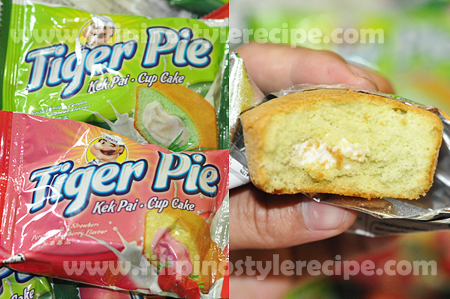 Serve with toyomansi dipping sauce. 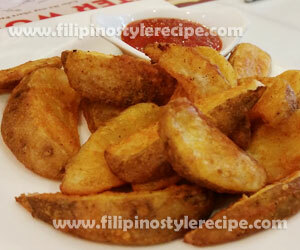 Filipino Style Recipe: Oven-Baked Potato Wedges is simple yet delicious potato dish. 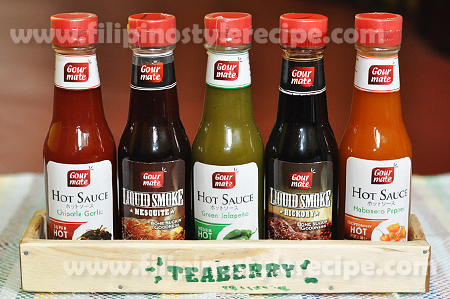 This is a good alternative to fries and can be served as side dish or as snack along with your favorite dipping sauce. 1. In a bowl, combine dry mixture then mix until well combined. Set aside. 2.Prepare beaten egg into a separate bowl. 3. Dip potato wedges in beaten eggs then dredge into dry mixture to coat. 4. Repeat for the remaining pieces. 1. In a baking pan, arrange potato wedges then drizzle with olive oil. 2. Bake in a preheated oven at 425 degrees Fahrenheit for 30 minutes or until golden brown and crispy on the outside. 3. Serve with your favorite dipping sauce. 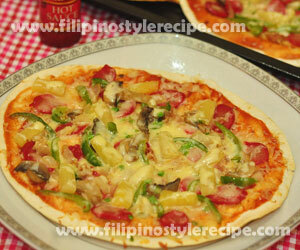 Filipino Style Recipe: Special Homemade Pizza is a typical pizza made of oven-baked flat, round bread topped with tomato sauce, cheese and various toppings. You may choose various toppings based on your budget and what you prefer. Pizza crust is available in leading supermarket or you may do it yourself. Good luck and enjoy! 2. 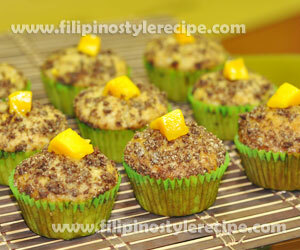 Sprinkle shredded cheese on top then arrange other toppings evenly. 3. Spread shredded cheese on top of the toppings. Repeat for the other crust. 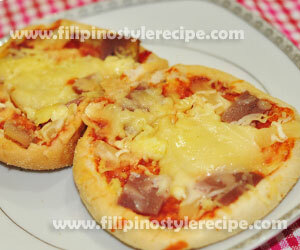 Filipino Style Recipe: Homemade Pizza Tortilla is inspire to typical pizza made of oven-baked flat, round bread topped with tomato sauce, cheese and various toppings. I had left-over tortillas from previous company outing. Since I had some ingredients for pizza making, I decided to used tortillas as alternative to pizza crust. 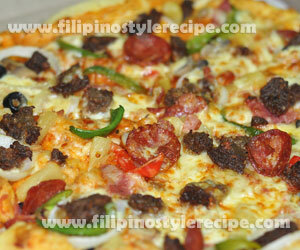 I like thin-crust so it is a good idea to used tortillas. I also have a tight budget so I used hotdog slices as alternative to pepperoni. 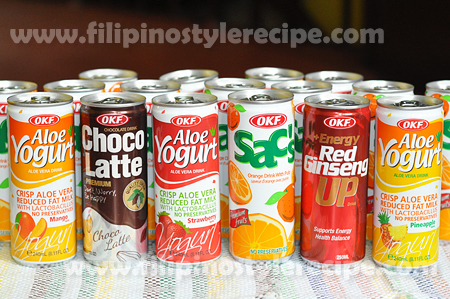 You may choose various toppings based on your budget and what you prefer. Good luck and enjoy! 1. In a pan, heat oil then fry the bacon but not too crispy. Drain on paper towel then cut into small pieces. Set aside. 2. In a same pan, fry hotdog then drain on paper towel. Slice diagonally then set aside. 1. Place tortilla in a flat surface, ladle enough pizza sauce into the center and spread it out in a spiral motion. Leave about 1/2 inch of unsauced tortilla at the edges. 4. Pre-heat oven over 200 degrees Fahrenheit then bake tortillas for 8-10 minutes or until the tortillas are crisp and the cheese is melted. 5. Remove from the oven then transfer to round sheet. Cut into 4-6 serving slices then serve with hot sauce.